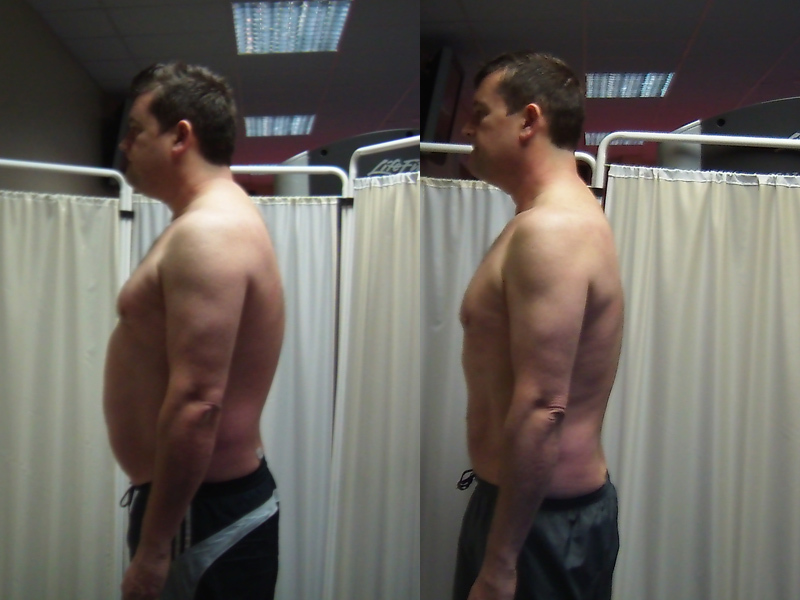 Kevin experienced a 17kg weight loss whilst training at with me in the Epsom Personal Training studio. The initial goal was to lose 1lb in weight for every mile of the London Marathon. It’s fair to say he smashed that target to pieces! Consistency was Kevin’s watchword. He was so successful because of this. All whilst raising money for Cystic Fibrosis. 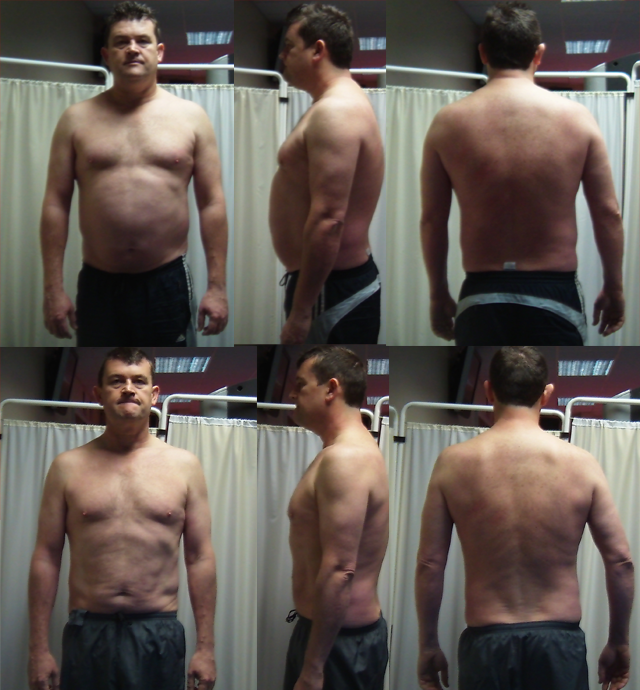 Kevin is a great example of visceral fat loss. See how he has very little of the loose blubbery style body fat but does have a large round stomach. This is a good view of visceral versus subcutaneous body fat. The losose skin will start to tighten over time, given a healthy diet and lifestyle.